"We are committed to helping our clients implement strategies to efficiently transfer their wealth to the next generation." Corey Schmutz is a native of Las Vegas. Upon graduating from Green Valley High School in Henderson, Nevada, Corey went on to graduate from the University of Nevada, Las Vegas with a Bachelor of Science in Finance. Following the completion of his undergraduate studies, Corey worked as a Credit Analyst for City National Bank on their commercial real estate lending team. After spending some time in commercial banking, Corey decided to pursue a career in Law. Corey earned his Juris Doctorate (J.D.) from the William S. Boyd School of Law at the University of Nevada, Las Vegas. During law school, Corey had the privilege of completing two judicial externships. The first, for Magistrate Judge Robert J. Johnston in the Federal District Court, District of Nevada and the second, for Probate Commissioner Wesley Yamashita in the Eighth Judicial District Court of Clark County, Nevada. After earning his J.D., Corey attended the University of San Diego, School of Law, where he earned a Master of Law in Taxation (LL.M.). Corey was selected by Super Lawyers as a Rising Star, an honor given to only 2.5% of attorneys. He is a member of the Southern Nevada Estate Planning Council and the National Academy of Elder Law Attorneys (NAELA). Having lived in Buenos Aires, Argentina, for two years, Corey is fluent in Spanish. Corey is active in the community. He has been involved in the Boy Scouts of America as an Assistant Scout Master and is an Eagle Scout. 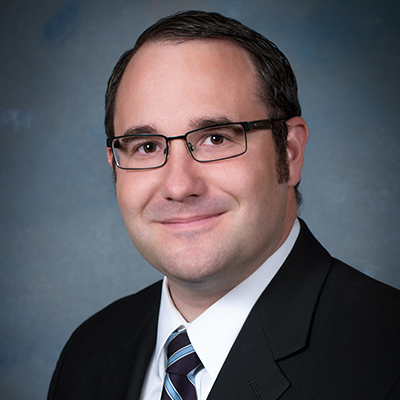 Corey practices primarily in the areas of estate and business planning and probate. Corey is licensed to practice law in both Nevada and California.